Base of Operations: Defenders HQ, near Central City, U.S.A.
History: In 2015 Ming the Merciless finally use the last of planet Mongo's natural resources, and renewed his plans to attack Earth. Ming captured and attempted to brainwash Dale Arden, wife of his old foe Flash Gordon, to reveal where her husband was, but she resisted the process and died; Flash and his son Rick fled back to Earth, and gathered allies, the Phantom, Mandrake the Magician, and Lother, and their children, as the Defenders of the Earth, determined to stop Ming's villainy. 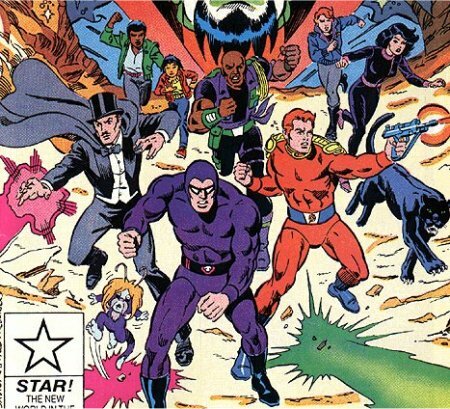 Comments: The show was designed to bring several of the King Features heroes together in one showcase title. 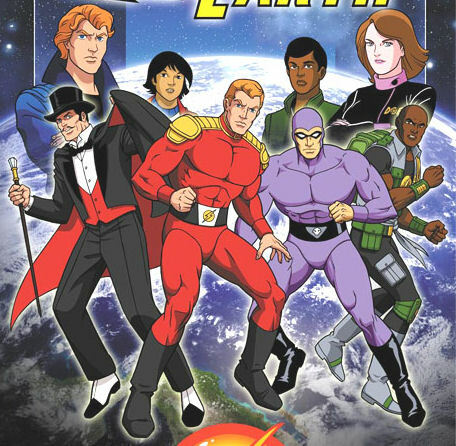 It only ran to one season of 65 episodes, but also spawned a short-lived Marvel comic (four issues), a short lived line of toys from Galoob, and a computer game.